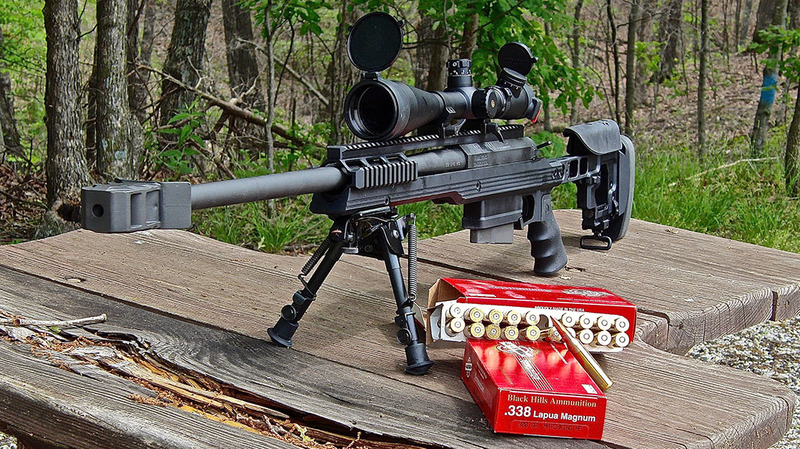 The .338 Lapua Magnum is popular around the world. Need proof? Here you can see Royal Dutch Marines and Kuwaiti snipers (next photo) training with Accuracy International AWSM rifles. 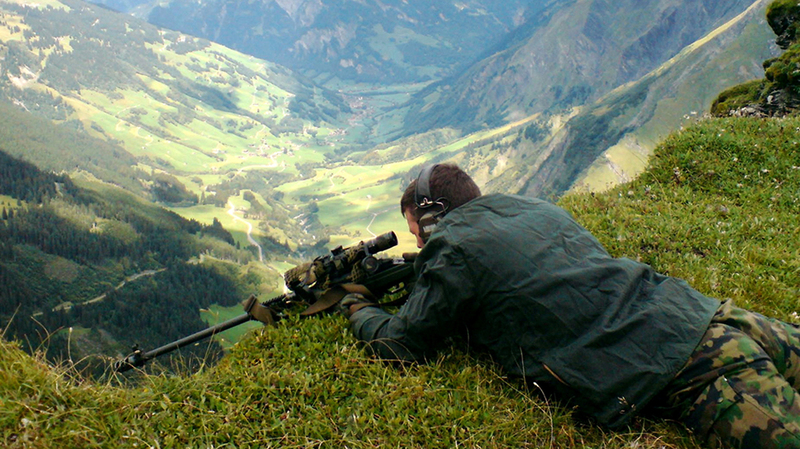 A Swiss AAD10 operator uses a SAKO TRG 42. In 2007, the British military adopted the Accuracy International AWSM in .338 Lapua as its L115A3 standard sniper rifle. It first saw service in Afghanistan in May of 2008. 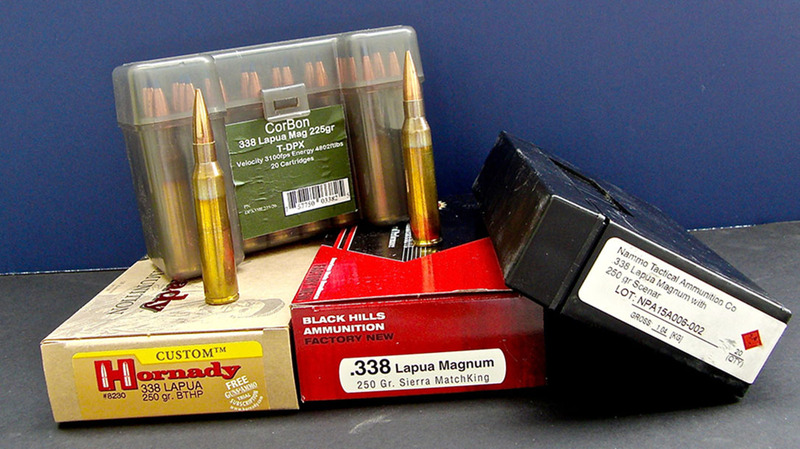 Quite a few ammo manufacturers make quality loads for the .338 Lapua Magnum. The .338 Lapua can effectively turn cover into concealment. 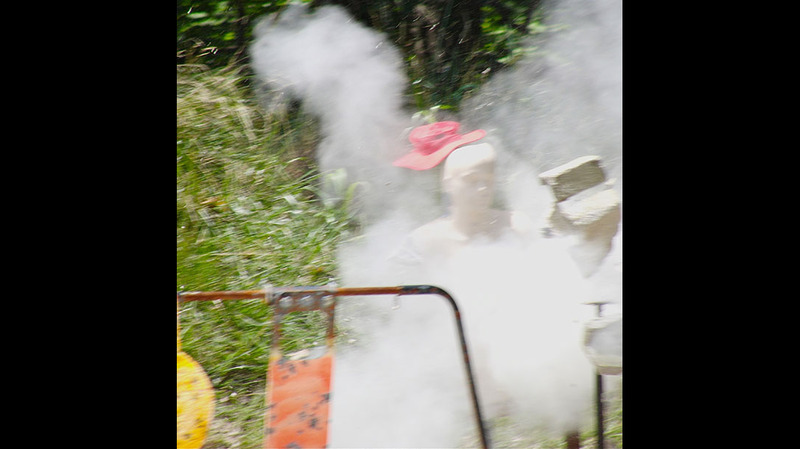 Here a round has blasted through a cinder block to hit a target. 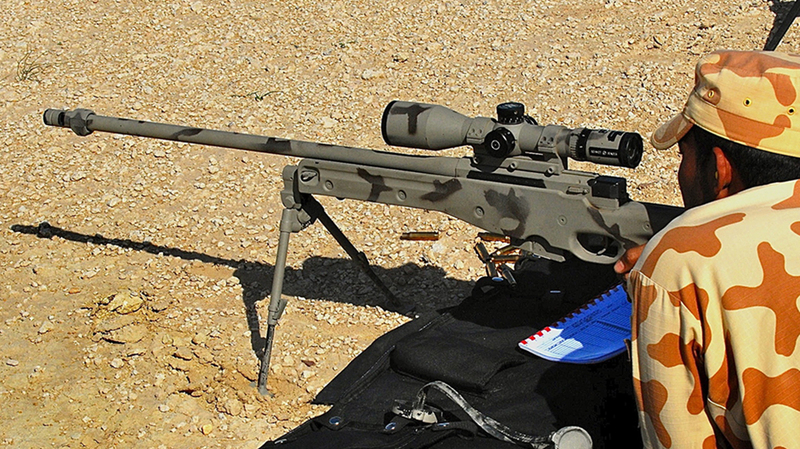 Some military snipers view the .338 Lapua Magnum almost as the “death ray” of the Global War on Terror. As good as the .338 Lapua Magnum cartridge is, however, it’s not a death ray. Its trajectory is so flat that some observers have called it laser-like, but it’s still not a death ray. And yet the .338 Lapua Magnum is very effective for long-range precision. 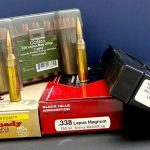 The .338 Lapua Magnum differs from other widely used sniper cartridges because it was specifically developed for sniping. It originated from a U.S. Marine Corps request for a long-range sniping round that could penetrate body armor at 1,000 meters. 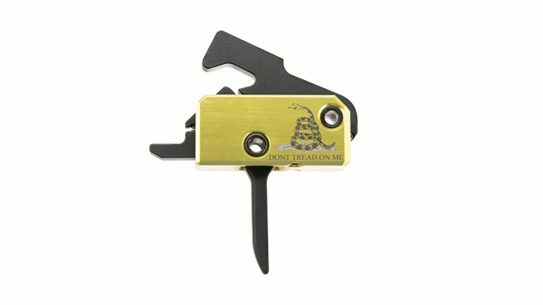 Research Armament Industries (RAI) started the initial development of the cartridge in 1983. In 1984, however, RAI contacted Lapua to produce the case for the cartridge. Soon afterward, RAI dropped out of the project. By the end of the 1980s, the .338 Lapua Magnum had become a joint venture between Finnish firms Lapua and SAKO, and the UK’s Accuracy International. Without going into metallurgy details, staffers developed a case that could handle the high pressure of the .338 Lapua Magnum. 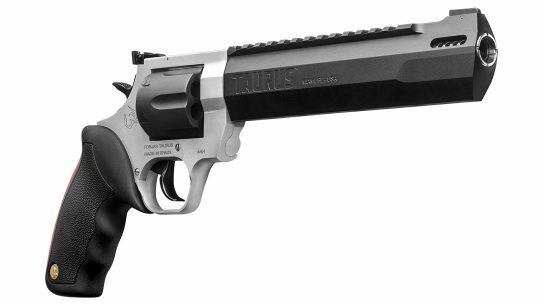 Initially, it was developed using a 250-grain bullet, which is still the standard. An important aspect of the .338 Lapua’s design is that it headspaces on the shoulder instead of on a belt, as with some other high-power cartridges, making it easier to mass-produce military- contract machine-loaded ammo. Although the .300 Winchester Magnum let rifles previously chambered in 7.62mm NATO reach out another 300 meters or farther, there was still a gap between .30-caliber and .50-caliber sniping rifles. Sniper rifles chambered in .50 Browning Machine Gun (BMG) were originally developed for anti-material use but had proven effective for long-range anti-personnel use, too. However, there were some disadvantages to .50 BMG rifles like the Barrett M107A1 and McMillan TAC-50. These guns are long and heavy, and the .50 BMG generates substantial recoil and causes considerable barrel wear. The .338 Lapua Magnum could reach out almost as far as a .50 BMG sniper rifle yet was more portable. In addition, it did not wear out barrels as rapidly. 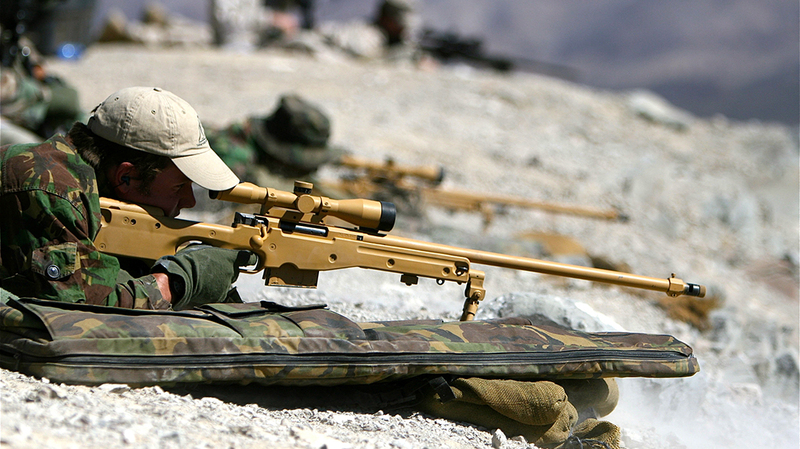 The latter is important for a military sniping rifle; trainees must fire many rounds to develop the skills necessary to use these rifles at maximum range. 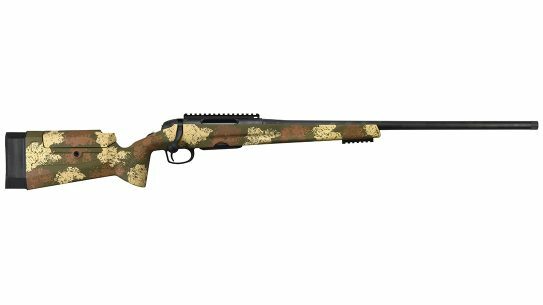 Two companies involved in developing the .338 Lapua Magnum were also among the first to offer rifles chambered for the round. 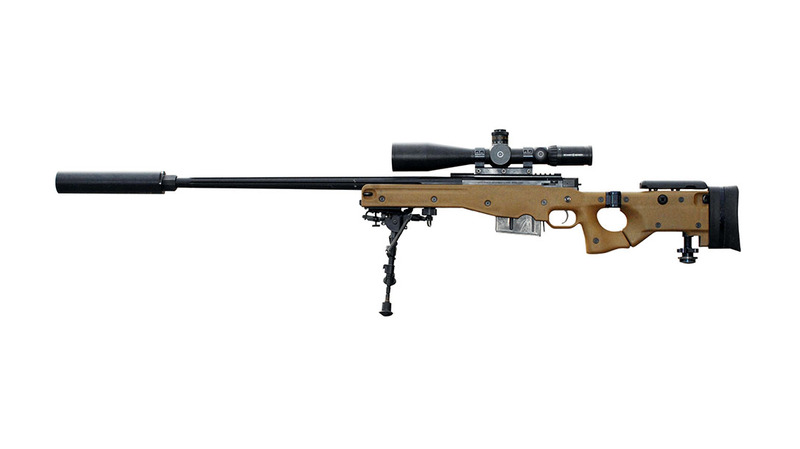 SAKO offered the TRG 42, and Accuracy International introduced the AWSM (Arctic Warfare Super Magnum). The latter was adopted by British armed forces in 2007 as the L115A3 standard sniper rifle. Although the .338 Lapua Magnum was initially developed to penetrate body armor at 1,000 meters, it has been used effectively to 1,500 meters and beyond. 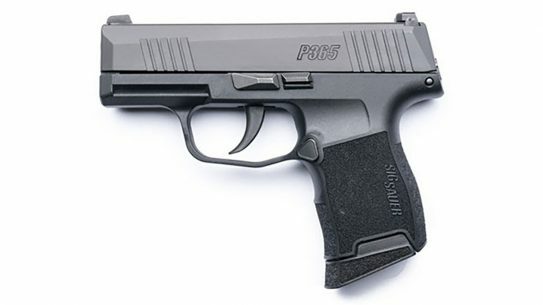 And while 250-grain bullets are considered standard for the .338 Lapua, 300-grain loads are normally considered most effective for extreme long-range shooting. Until it was surpassed in May of 2017 by a Canadian Joint Task Force 2 sniper firing a McMillan TAC-50 to take out an ISIS fighter at 3,540 meters—about 2.2 miles—the record for the longest kill had been accomplished with a .338 Lapua Magnum. 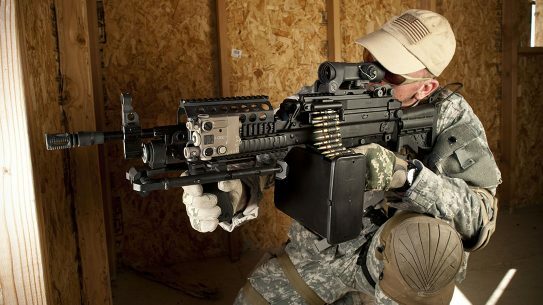 In November of 2009, Corporal of Horse Craig Harrison scored a 2,475-meter kill with his L115A3. But there are other noteworthy shots. 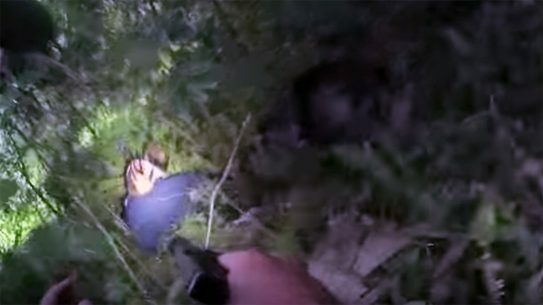 In August of 2008, U.S. Navy SEAL Chief Petty Officer Chris Kyle used a McMillan TAC-338 to kill an insurgent at 1,920 meters in Iraq, and in Afghanistan, Corporal Christopher Reynolds of the Scottish Black Watch used an L115A3 to kill a Taliban member at 1,853 meters. 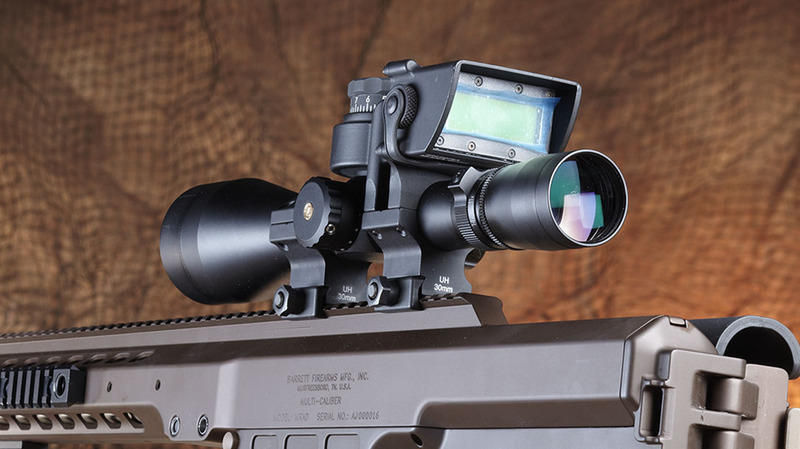 Although intended for anti-personnel use, the .338 Lapua Magnum can also be used in anti-material roles against lighter vehicles and sensitive equipment, such as radars, computers or communications. In an anti-personnel mission, the .338 Lapua Magnum will punch through barriers like concrete blocks or other cover to take out an enemy. 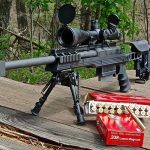 Though some countries like the United Kingdom have adopted the .338 Lapua Magnum for their standard sniper rifles, it has proven especially popular with spec-ops units. Members of these units might be inserted into areas of operation (AOs) by parachute, helicopter, small boat, off-road vehicle or on foot. 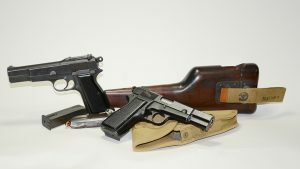 As a result, the rifle’s weight and overall length for stowage are important. For example, the British L115A3 rifle weighs 15.1 pounds with a bipod and an empty magazine, and has an overall length of 48.4 inches. 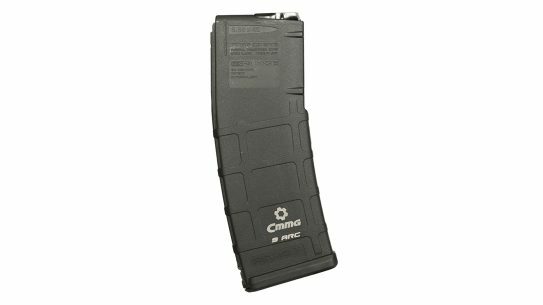 The AXMC version incorporates a folding stock that reduces the overall length to 41 inches while retaining a 27-inch barrel. 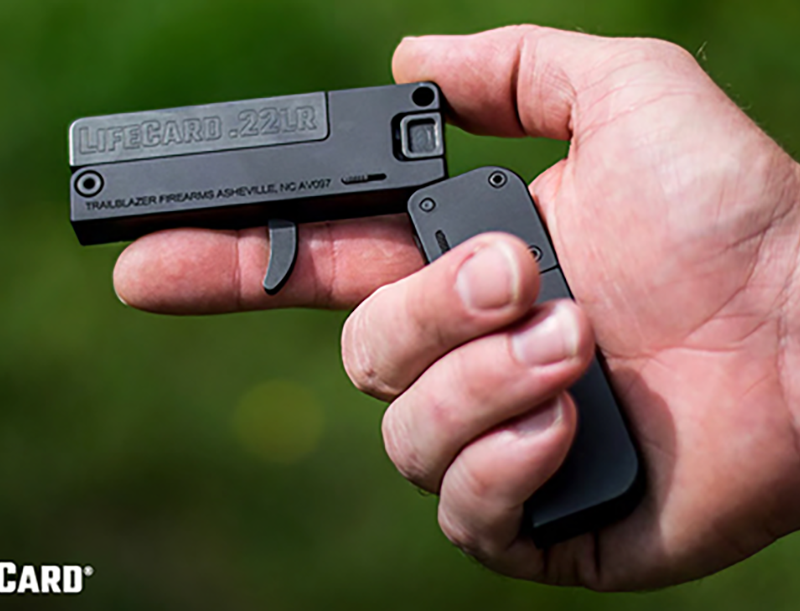 This version is also designed for use with a suppressor. Also very versatile, the AXMC allows a quick change to .300 Win Mag or 7.62mm NATO. Remington’s Modular Sniper Rifle (MSR) offers the same basic features. 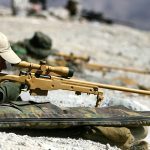 It was developed to meet bid specs for the U.S. Special Operations Command Precision Sniper Rifle (PSR) program. 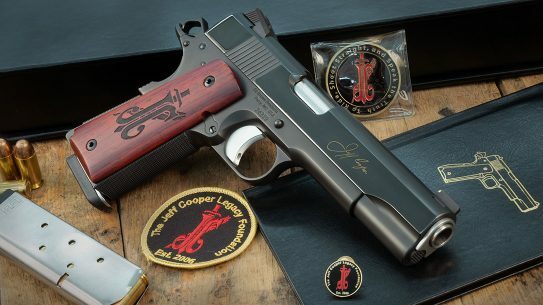 Remington was eventually awarded a contract for 5,150 rifles with suppressors. 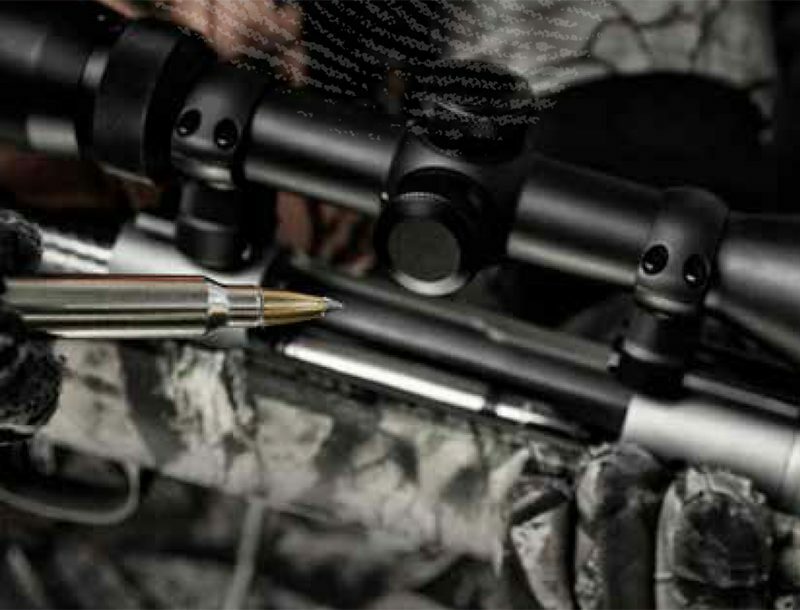 To enhance the usefulness of the .338 Lapua Magnum cartridge at extreme distances against high-value personnel, USSOCOM has also expressed interest in the development of a .338 Lapua round to defeat heavy body armor. 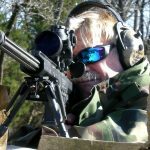 Of course, for all of its other advantages, the greatest appeal of the .338 Lapua Magnum remains its accuracy at longer ranges. 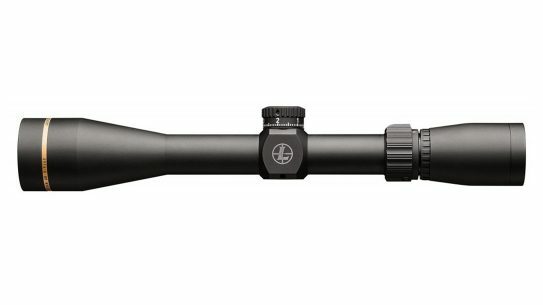 That accuracy is a result of the care with which most .338 Lapua Magnum sniping rifles are built, combined with excellent optics from companies like Nightforce, Leupold, Schmidt & Bender and Valdada. 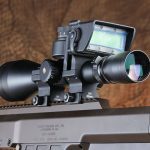 In addition, these scopes must have excellent optical quality and be able to stand up to the pounding of a cartridge with heavy recoil. 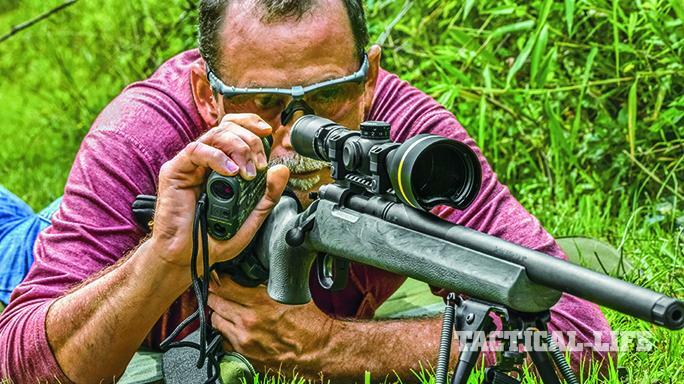 Because of the longer ranges at which .338 Lapua Magnum rifles are used, a ballistic calculator—such as Barrett’s Optical Ranging System—is invaluable. Systems that use a smartphone or tablet, such as the GeoBallistics WeatherMeter and BallisticsARC app, also enhance the caliber’s long-range accuracy. 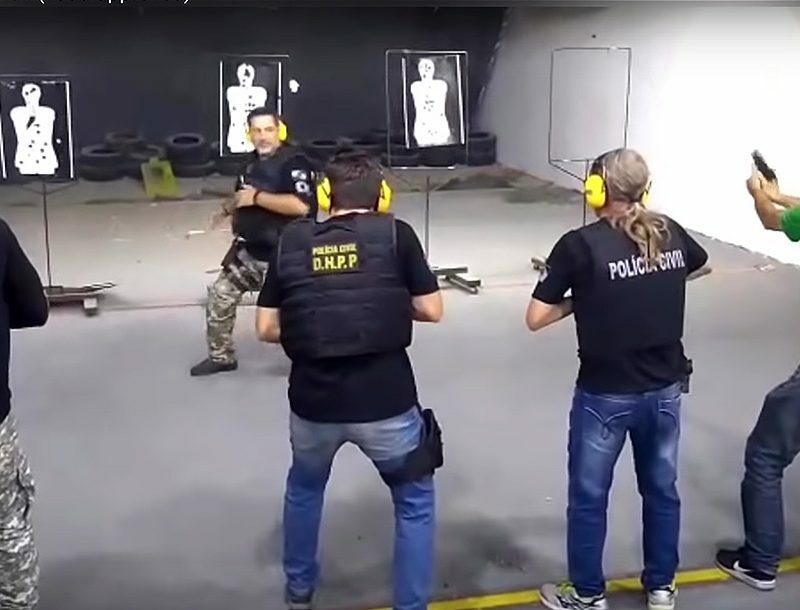 For example, I was involved with training a hostage-rescue unit in a foreign country some time ago. In doing surveys of the capital city, we located shooting positions and then downloaded a map on which we could click various possible targets and immediately get ballistic drop information. Using the WeatherMeter, we also acquired information to adjust for windage. 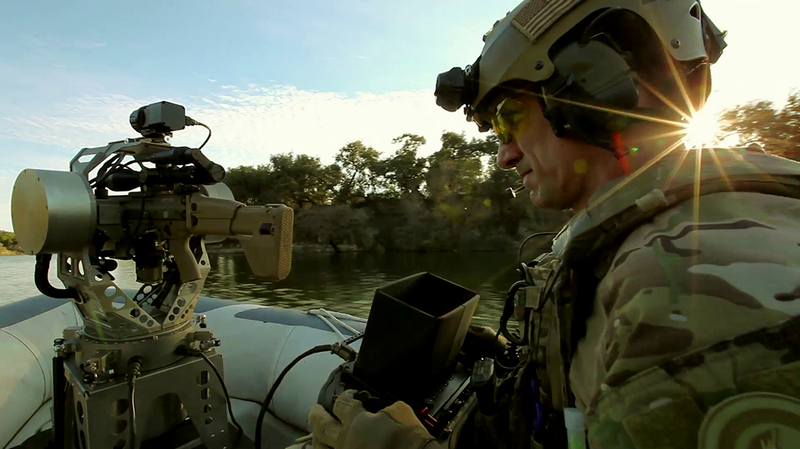 Although skilled snipers can “dope” long shots (and should be able to do so without extra gear) the technology really aided our mission. 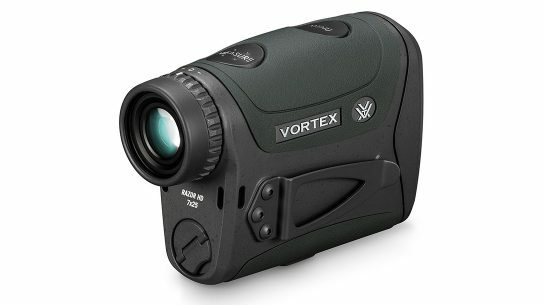 Laser rangefinders are also very helpful. 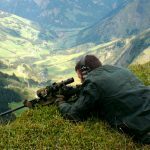 At ranges of 1,000 meters or farther, using range-finding tools within a mil-dot reticle, for example, requires great skill. 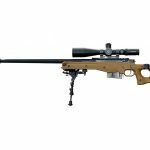 Longer barrels—27 inches on the Accuracy International AWSM and SAKO TRG 42—help maximize the .338 Lapua’s effectiveness but also make transporting the rifle more difficult. 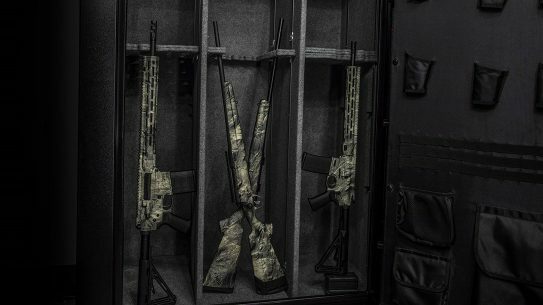 In addition, rifles like the Barrett MRAD can be had with 20-inch barrels and folding stocks for a minimum folded length of only 31.75 inches. 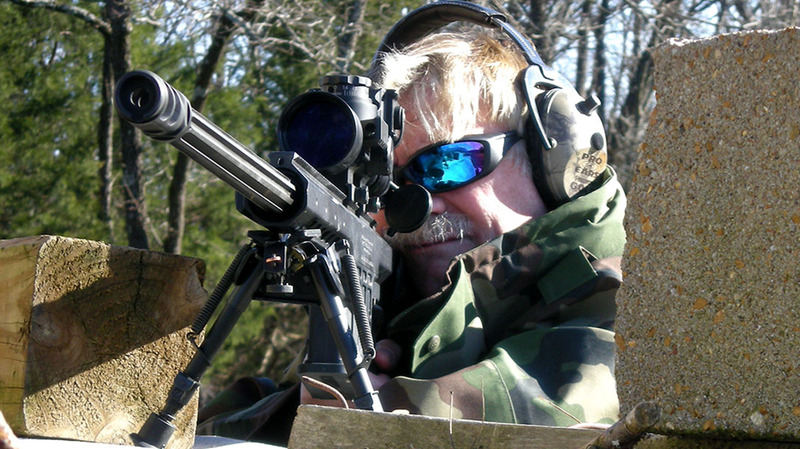 Highly portable for special operators, the MRAD also sacrifices range, which is the greatest advantage of the .338 Lapua. 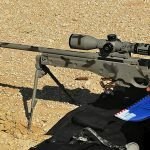 Although U.S. armed forces use the .338 Lapua Magnum, the U.S. Army and other branches have expressed increased interest in the .300 Winchester Magnum. The Mk 248 Mod 1 was developed to use 190-grain Sierra MatchKing bullets at 2,950 fps, allowing the .300 Win Mag projectile to remain supersonic at 1,350 yards. 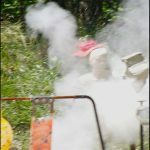 Loads using a 220-grain bullet let the .300 Win Mag stay supersonic out to 1,500 yards. This performance comes close to the .338 Lapua, but in lighter rifles originally designed for the 7.62mm NATO. And the ammunition is more affordable. Continued development of high- performance .300 Win Mag loads will likely limit the .338 Lapua to specialized uses within the armed forces. 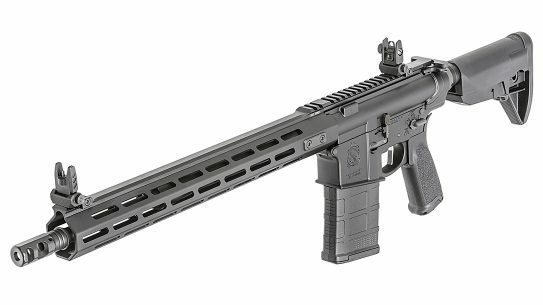 And rifles like the Remington MSR can be quickly adapted to fire either the .300 Win Mag or .338 Lapua, so one rifle can be used for general-purpose sniping in .300 Win Mag, then configured for specialized missions in .338 Lapua. Currently, at least 30 countries use .338 Lapua Magnum sniper rifles, and more than a dozen manufacturers produce guns, in multiple configurations, in this caliber. The greatest advantage of a .338 Lapua sniper rifle is that it can do the job of a 7.62mm or .300 Win Mag rifle, but at longer ranges. And it can also perform many of the missions assigned to .50 BMG sniper rifles, though not as well against hard targets. 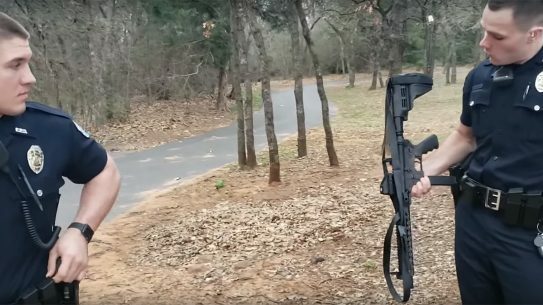 So, why the .338 Lapua Magnum? The short answer: versatility.